Shortly after arriving in Cambodia, I was in a hostel in Phnom Penh talking with PCV who is currently serving here. We talked about our experiences in Peace Corps and life. I asked the Cambodia PCV for recommendations on things to do while here. He spoke very highly of the Mondulkiri Project in northeast Cambodia. The project has an elephant sanctuary for rescued elephants, and offers jungle trekking in addition to visits to the sanctuary to feed and bathe the elephants. My interest was piqued. I read more about the project, and knew that I wanted to go. The project is home to five elephants. At least one was formerly used for elephant rides in Angkor Wat. Another was used for hauling logs from the jungle. Another was abused by her caretaker. The project also employs Bunong people, who live in the local community where the jungles and forests are. The 18 kilometer trek started at the tour guide’s homestead just before 9 am. The views from the trek were quite awesome. Apparently, it’s the end of rainy season so the mosquitoes were minimal, but jungle floor was very slippery. This was especially true on inclines and declines. I lost my footing a few times and was invited to promptly sit down on the jungle floor. The trek included swimming in a river at a waterfall right before lunch. During the after lunch trekking, the rain started. Although it started as a light drizzle, it progressed into heavier rain. The jungle floor became even more slippery. We finally reached our destination: the Jungle Lodge. They had hammocks with blankets set up for us. They also served dinner, which included bamboo soup (made in real bamboo), breakfast, and lunch the next day. The second day was all about the elephants in the sanctuary. We went down to the sanctuary with many bananas. We were able to feed the elephants in the jungle sanctuary. Once the elephants saw that we had the bananas, the gentle giants approached and took the fruit from our respective hands. Some elephants allowed us to remain close while others walked away to munch on some young bamboo. In the afternoon, we were able to swim with and bathe the elephants in the river. After a full two days of activity, I was tired and sore. I’m super thankful for the hot shower and delicious food I had back in town. The above picture is of me admiring the view at the beginning of the trek, when I was still dirt-free. There is no shortage of instagram imagery to keep us busy. Some R/PCVs and friends joined in on the fun. 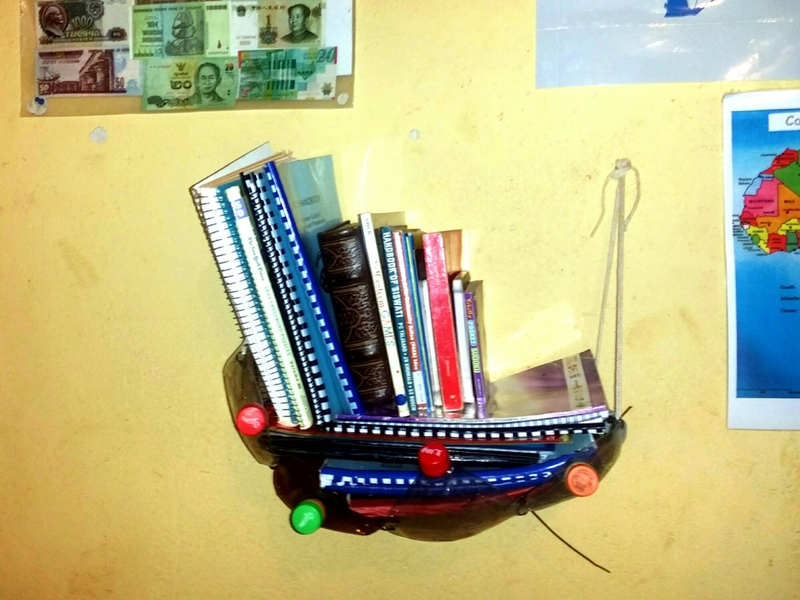 The following is a list of Instagram accounts featuring various aspects of Peace Corps life. None of these accounts are representative of or affiliated with the United States government, any host country government, or the United States Peace Corps. Be sure to follow, like, and interact with these folks. And if you’re inspired to undertake your own project (or if I’ve missed any), be sure to comment so that I can add the account. Accounts are listed in alphabetical order. – My Peace Corps Story (@mypeacecorpsstory) – an RPCV decided to do a podcast. This is the accompanying instagram. Monday in a Picture – What is AfrikaBurn? Just over a month ago, I was fortunate to return to Karoo National Park the Stonehenge Private Reserve in the Northern Cape of South Africa. The occasion? AfrikaBurn. AfrikaBurn is a regional event of the Burning Man network. It’s the largest of the regional events and the first on the continent of Africa. When I first received my invitation to serve in eSwatini, I was overjoyed because attending AfrikaBurn went from “possible” to “highly probable”. On occasion, AfrikaBurn or Burning Man would come up in conversations with fellow PCVs. One question kept surfacing. What is AfrikaBurn? Before April 2017, I could only give the textbook answer: “AfrikaBurn is a regional event of the Burning Man network” . Some people would delve further. What is Burning Man? My response was almost always the same. “What I’m about to say won’t make sense, but Burning Man is everything.” Most people agreed. My comments made no sense. When the theme for the twelfth AfrikaBurn was released, I was indifferent. The theme was “Working Title”. While reading about how this theme was chosen, I got more excited. Working Title is a name given to something still being created. Because that thing is still being created, it can be anything. There can also be collaborations with co-creators. “Working Title” made perfect sense! AfrikaBurn, Burning Man, and other similar events are works in progress. We get to collaborate to make it what we want. I had an idea. I designed stickers to look like movie slates. On the sticker, the open ended sentence started, “AfrikaBurn is”. Participants were asked to complete the sentence. Afterwards, I asked to snap a photo of the sticker. AfrikaBurn is the best experience of your life. AfrikaBurn is Radio Free Tankwa. AfrikaBurn is 37 24 16 V M 27 Clap 37. AfrikaBurn is stepping into your true self. These were some of responses. AfrikaBurn, like life, is different for everyone. The idea that we get to co-create the experience is magical. Ask any of the 7 billion human inhabitants of Earth what life is. You’re bound to get different answers. The answers may even change with time. None of them are wrong. AfrikaBurn is similar. Everyone has their own unique experience. Everyone is the director, screenwriter, and leading actor. It’s a beautiful thing. So, what is AfrikaBurn? You decide. Last week, the dreams and desires of a fellow PCV were actualized. In Swazi Spring 2017 (August-September), Dawnita saw a documentary about a girls step team from Baltimore, Maryland. She was moved by documentary, and shared that she wanted to do a documentary screening for the girls in her community. She had conversations with folks from Baltimore, her hometown. They assembled a team and began working on bringing an idea to fruition. What if Black girls from this step team in Baltimore could connect with Black girls from South Africa and Swaziland? What if the image of their international contemporaries was formed by more than the media? Black Girls Global Exchange (BGGE) was born. More than fifteen high school girls and chaperones from Baltimore journeyed to South Africa and met up with high school girls from Manzini (Swaziland) and Soweto (South Africa). Together, they explored Soweto (and shared dance moves). The girls enjoyed a week of intercultural exchange as they tried new cuisine, shared stories, and completed service projects side by side. I was fortunate to be one of many photographers capturing the events. On Thursday, girls from all over Swaziland joined the BGGE participants in central Swaziland for a screening of the documentary and a symposium. It was beautiful and emotional. It was surreal at times watching the girls truly and fully embrace the sentiment that we are much more alike than we are different. As the BGGE participants marched into the conference room for symposium, they were indistinguishable. Girls from Manzini and Baltimore wore matching outfits as they led chants of “B-G-G-E”. The energy was electrifying. During the symposium, a light lunch was served. Two BGGE mentors from Baltimore, who are professional chefs, joined Swazi chefs in the kitchen to prepare a delightful experience highlighting American and Swazi foods. Shrimp and grits (an American favorite) was served alongside chicken feet, pap, and Swazi cornbread (all Swazi favorites). While the symposium featured many powerful moments, I’d like to highlight two. During the panel discussion (pictured above), BGGE participants from Baltimore and Manzini discussed what they had learned from nearly a week of intentional cultural exchange. The girls shared how they connected on the challenges they face in their respective homes. Gender based violence and inequality is problem in Swaziland and America. HIV plagues both nations with so many infected and affected. At another point in the symposium, the participants from Manzini closed a presentation with a beautiful song. The lyrics hit me as tears fell. “Shine your light–Be the light–We, Black girls; we gotta stick together”. As the lyrics repeated, the stage began to fill with the BGGE participants from Baltimore and other girls. It was one of the most beautiful things I’ve seen during my time in Swaziland. The Black Girls Global Exchange is the epitome of Black girl magic. P.S. – Below are more pictures highlighting the Black Girls Global Exchange. Correction (8 April 2018): There were 4 middle school girls from Baltimore, Maryland, in addition to the high school participants. The lyrics from the moving song (during the symposium) were: “Show the light…give them life…we black girls…let’s work together.” It was written and arranged by BGGE Swazi Ambassador Nosfiso Magagula, 17 years old. 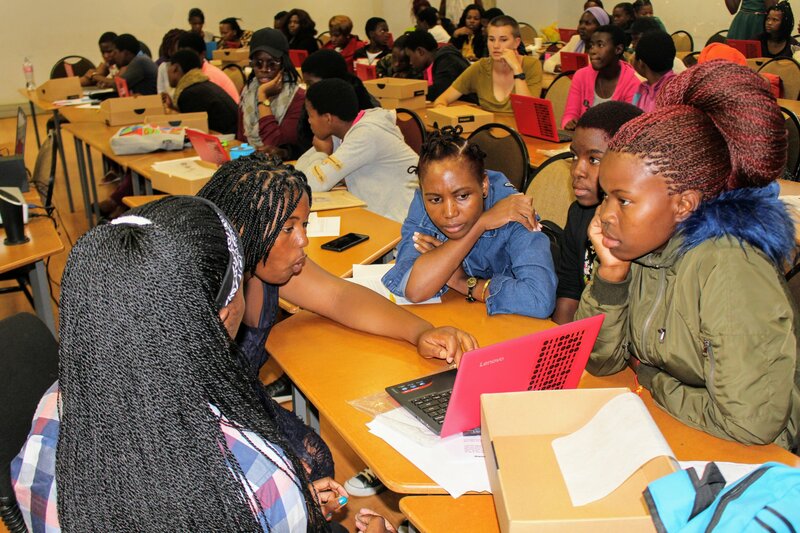 This past weekend, a fellow PCV, Deacon, hosted a camp to introduce computer programming to girls from twenty communities around Swaziland. The camp began with a basic overview of what a computer is and various related TED Talks. Each community, represented by two girl students and one adult mentor, received one laptop computer with a variety of programs. Many of the students admitted that it was their first time touching a computer. The students learned programming through an interactive graphic language program known as Scratch. They followed tutorials to create games while learning what various commands did. It was amazing to see the students try different variables attempting to achieve desired results. In one instance, a pair of students and mentor asked for assistance with a variable that wasn’t working. I directed the students to the help section of the tutorial. Before I could go through it with them, they were searching for the solution to their variable problem. I watched as they found the solution, and adjusted their program accordingly. It was impossible to contain my excitement as students with limited computer knowledge in the morning were developing and troubleshooting interactive games by late afternoon. The next step for the students is to return to their respective communities where they will design unique games that tackle a social issue in Swaziland. In early 2018, the students and mentors will reconvene to showcase their games in a competition. The above picture was taken as pairs and small groups worked together to develop their games. Prior to joining the Peace Corps, I saw many creative takes on Peace Corps service through memes and pictures on various social media pages. There’s Hey PCV Girl and Hey PCV Boy. There’s RPCV Meme and Peace Cats. The list goes on. All of these social media outlets were started by members of the Peace Corps community. They gave inspiration. On one January afternoon while waiting for my bus, the idea engine was firing on all cylinders. There were many social media accounts dedicated to showcasing beards. A quick search showed that there was no account to showcase beards in Peace Corps. I had to rectify this oversight. On 11 January 2017, Beards of Peace Corps was born. I started working on a logo, and soliciting for beards to feature. Naturally, many of the first beards to be featured were from Peace Corps Swaziland. Slowly, beards from other posts started coming in. 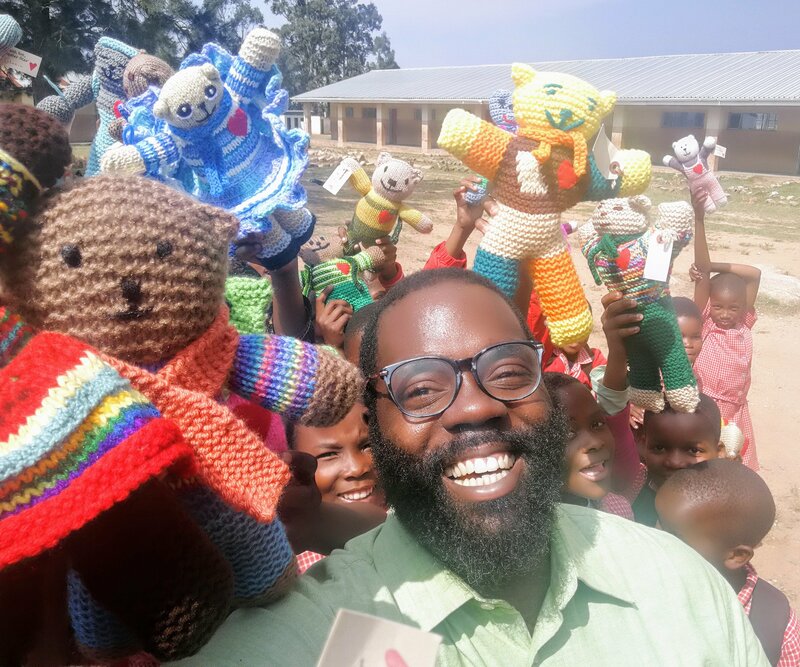 To date, PCVs and RPCVs from 20 different posts have been featured on @BeardsofPeaceCorps. One of the most amazing things to come from this project is another PCV initiative called Peaceful Curls of Peace Corps. Shortly after starting Beards of Peace Corps, a fellow PCV in Swaziland was sharing how inspired she was. She wanted to showcase PCV’s natural hair coupled with maintenance tips. Following that conversation, Peaceful Curls of Peace Corps was created. Be sure to follow @PeacefulCurlsofPeaceCorps on Instagram to share and see natural hair care tips. 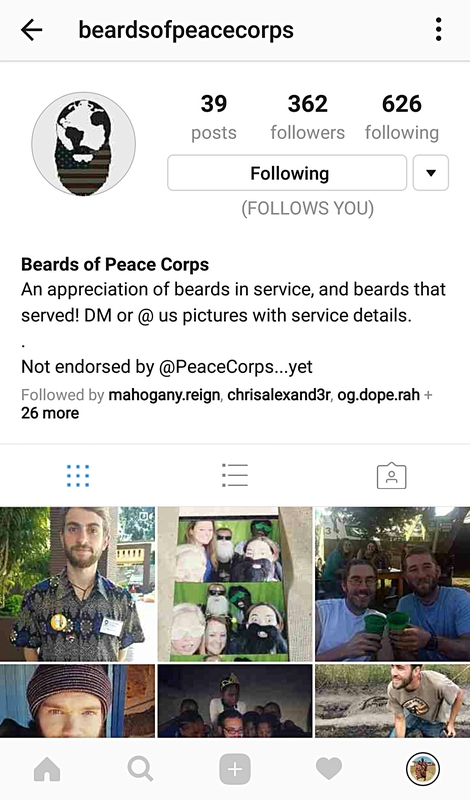 If you are a, or know of any, bearded PCVs or RPCVs, please submit pictures and service details (where you serve(d) and when) to be featured on the Instagram page. One of the things that I hear often around my community is a desire to go to the United States. Some people want to study in the U.S. Some want to travel and see the sights. In December, our country director sent all current Swaziland PCVs an email announcing recruitment for the Pan Africa Youth Leadership Program (PAYLP). The exchange program is sponsored and funded by the U.S. State Department, and coordinated locally through the American embassy and other partners. The school term had already finished, so I sent the message to a few teachers at my community high school to see if they wanted to nominate anyone. A teaching colleague wanted to nominate her son. He completed the application and motivation statements, and I submitted his application. In early February, we received notice that my teaching colleague’s son was one of five Swazi students accepted into the program and would be going to America in April. This started a busy month of obtaining passports and other documents. Then, there was the visa application process (which reminded me of the extreme privilege that comes simply with being born in America). 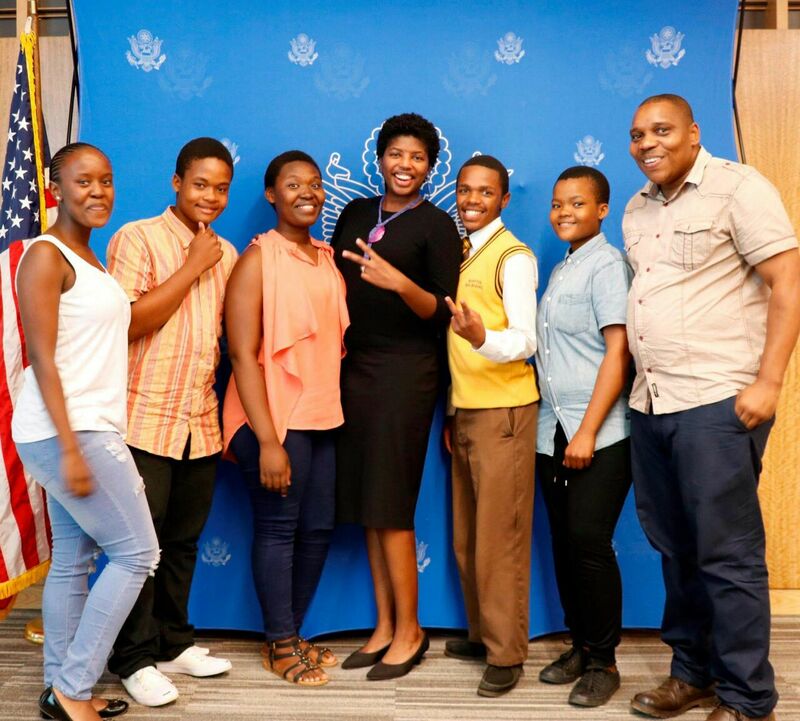 Finally, there was the pre-departure orientation at the U.S. embassy in Swaziland. The students were able to meet the rest of the cohort, attend visa interviews, and allay some fears and worries about the trip. There was a video conference with representatives from the State Department, other partners, and participants from all PAYLP countries (10 nations in total, including Swaziland). The students were all very excited. This month, their collective excitement becomes reality when they arrive in the United States. They will meet with various American officials, study at local universities, and have homestay experiences with American families. The only thing left to do is get on the plane. In the picture above, the Public Affairs Officer (middle) poses with the students and their adult mentor. When I moved into my home here in Swaziland, it was a blank canvas. There was no furniture. There were empty walls. It was an invitation to create. After settling in to my home with a bed and homemade closet, it was time to tackle the next challenge. Where do I store all of the notebooks, manuals, and other random books that I’ve acquired since beginning my service? Thankfully, I rid myself of my book collection before leaving DC. Furniture can be expensive, especially when factoring in transportation costs. Building my closet provided me with the confidence and inspiration to take on another project: my bookshelf. I had some five empty soda bottles, thin rope, cement nails, zip ties, and duct tape. In my first attempt, I wrapped the bottles with the duct tape. Then, I tied the rope onto the ends of the bottles and wrapped the rope around the cement nails to hold it up. This setup wasn’t the best for bearing heavy loads. In my second attempt, I pushed all air out of the bottles and poked holes along the sides of the crushed bottles. Then, I zip tied the crushed bottles together and tied rope to the zip ties on the end. Finally, I wrapped the rope around the cement nails. This setup has been great for bearing the load of books.